That’s how much under-fire CEO Tim Sloan is pledging for clean-energy and other green projects. It may distract from a $1 bln mis-selling fine but it’s no mere PR stunt. Boosting financing and outlining credit portfolios’ carbon intensity are smart ways to address climate risk. Wells Fargo has entered into consent orders with the Consumer Financial Protection Bureau and the Office of the Comptroller of the Currency, the bank and the two agencies said on April 20. The orders deal with concerns about the bank’s compliance-risk-management program and problems with how it charged for rate-lock extensions on mortgages and how it “force-placed collateral-protection insurance” on auto loans. The CFPB ordered Wells to pay a civil penalty of $1 billion, although it allowed the $500 million levied by the OCC to count toward the total. To cover the fine, Wells is reducing its first-quarter earnings of $5.9 billion, unveiled on April 13, by $800 million. 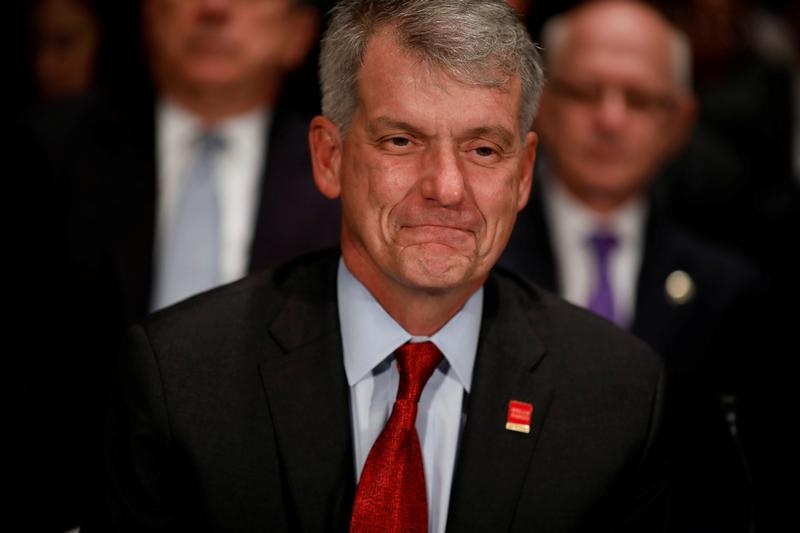 Tim Sloan, the bank’s chief executive, on April 19 said the bank will provide $200 billion in financing to sustainable businesses and projects by 2030. More than half the money will go to clean technology and renewable energy. Speaking at the Committee Encouraging Corporate Philanthropy, Sloan also said the bank will issue reports on the carbon intensity of its entire credit portfolio. HSBC on April 20 said it is withdrawing financing from a number of energy markets. The bank will “effectively cease financing” new coal-fired power plants in 78 developed countries and will finance those in Bangladesh, Indonesia and Vietnam for only a limited time. HSBC will also no longer provide financial services to large hydroelectric projects that don’t meet the World Commission on Dams framework, nuclear projects that don’t meet standards set by the International Atomic Energy Agency, new offshore oil and gas projects in the Arctic and new oil-sands projects.